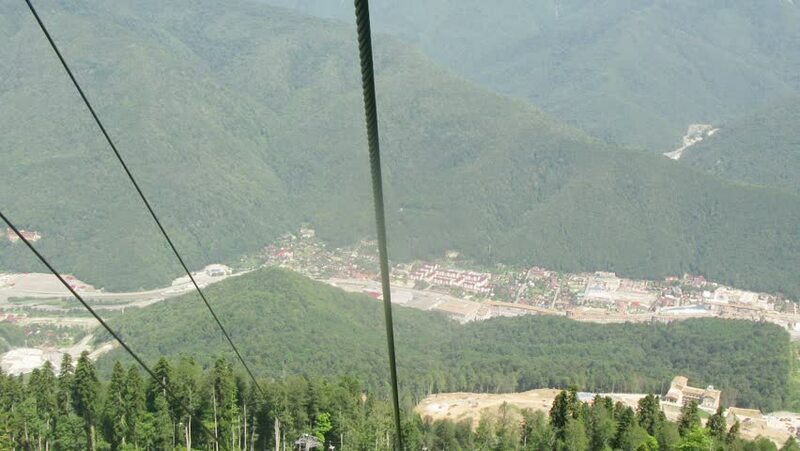 A trip to the trailer by ropeway at sunny day in Krasnaya Polyana, Sochi. Time lapse. hd00:16Green downstream white water kayak and canoe slalom gate. In slowmotion. hd00:21Downstream white water kayak canoe slalom gate on river. hd00:13Spring Melting Of Snow On The River, In April. hd00:24Walking near the wall of a prison. Barbed wire on top. Handheld shot.